This machine was the last type built before the firm went into liquidation. 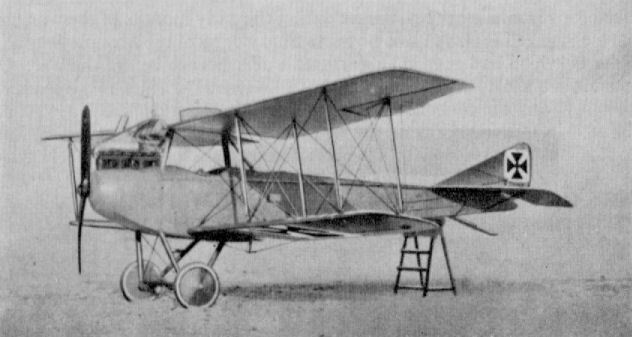 It was a conventional two-seater of wood and fabric construction. Engine, 160 h.p. Mercedes D III. Span, 13.4 m. (43 ft. 11 5/8 in.). Weights: Empty, 829 kg. (1,823 lb.). Loaded, 1,329 kg. (2,924 lb. ).